Estádio Nacional de Brasília Mané Garrincha is Brazil’s recently opened new national stadium in the city of Brasilia. It is one of the selected playing venues of the 2014 FIFA World Cup. Construction of the stadium started in 2010 at the site of the old Estádio Mané Garrincha, which earlier got completely demolished. The project worked with a budget of R$ 688 million, to be financed by the local government, though final costs are estimated to have passed R$ 1 billion. Various delays and strikes plagued the project. The design of Estádio Nacional de Brasília was inspired by the works of architect Oscar Niemeyer, famous for his role in the design of the city of Brasilia. Most characteristic feature are the 288 pillars that form the exterior and are holding up the roof. 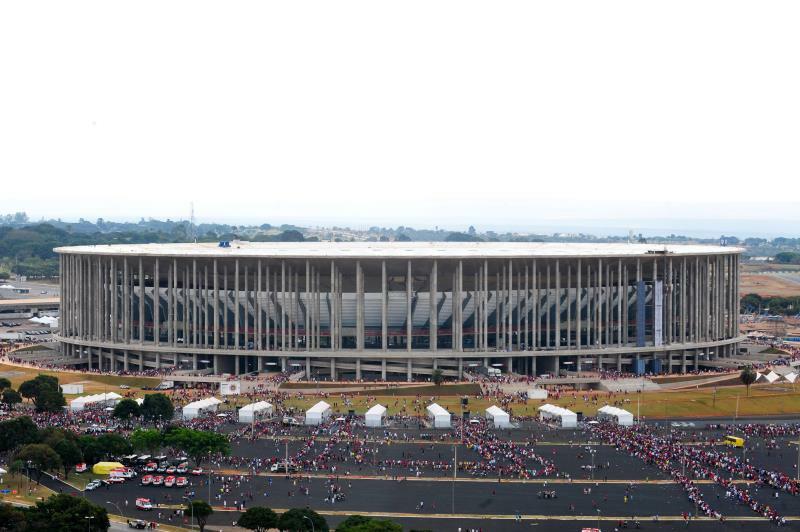 Estádio Nacional de Brasília officially opened on the 18 May 2013 with a friendly match between local sides Brasilia and Brasiliense. None of the local clubs have committed to making the much-too-large stadium their permanent home, but they are expected to occasionally use it for high-profile matches. 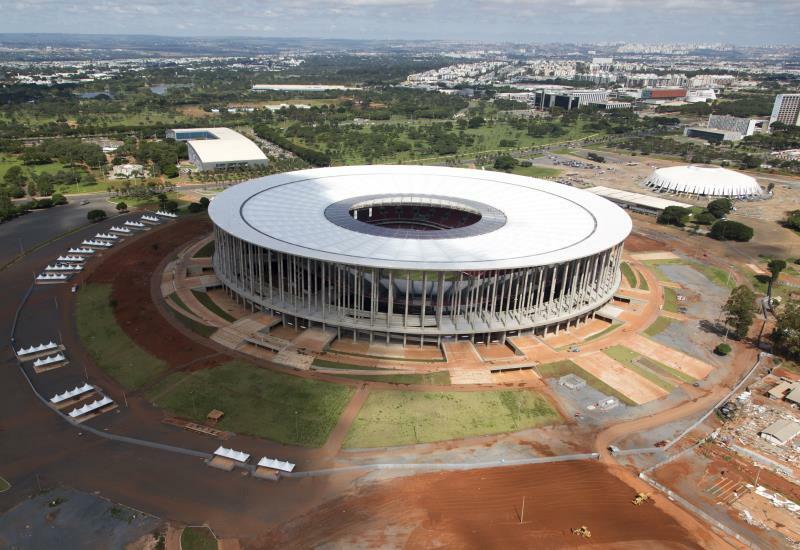 The stadium is scheduled to host seven matches during the 2014 World Cup, including one quarter-final and the match for third place. It was furthermore one of the playing venues of the 2013 Confederations Cup. Estádio Nacional de Brasília Mané Garrincha is located in central Brasilia toward the western end of the Eixo Monumental (Monumental Axis) avenue, between the TV Tower and the JK Memorial. 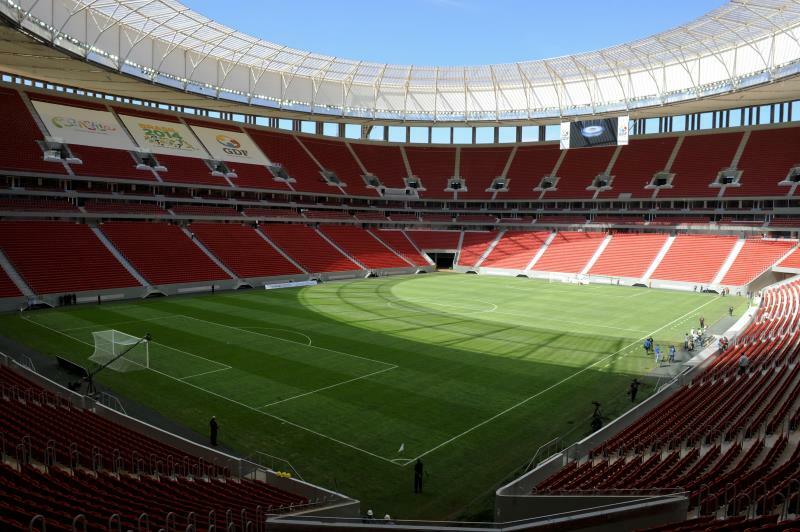 The stadium lies about 2 kilometres from metro station Central, from where the metro or local buses can be caught to most destinations within the Brasilia urban area. Take a bus that runs along the Eixo Monumental to get from Central to the stadium. Brasilia is not particularly suited to get around on foot. The principal Rodoferroviaria long-distance bus terminal is situated at the western end of the Eixo Monumental at about 4.5 kilometres from Estádio Nacional de Brasília. Local buses connect the bus terminal with the stadium and city centre. 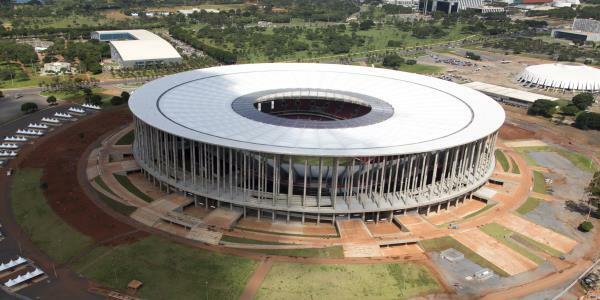 Estádio Nacional de Brasília Mané Garrincha is located in central Brasilia at walking distance of many of the city’s tourist destinations, however Brasilia is a city made for cars and walking around in the area surrounding the stadium is far from a pleasant experience. Most of Brasilia’s eating and drinking goes on in the many shopping malls the city boasts. Brasília Shopping is a sizeable one and located at just a few hundred metres east from the stadium. The area east of Estádio Nacional furthermore holds a good amount of hotels, though most come in the middle to upper price range. Allia Gran Hotel, Mercure Brasilia, and Nobile Suites Monumental all get very good reviews, though prices can run high during the week. Plaza Bittar Hotel and Hotel Pilar are a little further away, but also somewhat more affordable. Click here for an overview of all hotel near Estádio Nacional de Brasília. Metro.df.gov.br – Information on the Brasilia metro system.